Ludwig Josef Wittgenstein was a philosopher of an Austrian-British background, focusing mainly on the philosophy of language, mind, mathematics and logic. His early works were inspired by Bertrand Russell, Arthur Schopenhauer and his friend Gottlob Frege. He was not the most prolific of writers, publishing a solitary, slim book in his lifetime, called the Tractatus Logico-Philosophicus. He also compiled a children’s dictionary and an article. His thoughts shifted majorly during his lifetime, which is evident in his notes published after his death. However, the problems he tackled remained the same while the approach varied. Wittgenstein’s first published work, the Tractatus, claimed to solve all the puzzles philosophers have tried to decipher over the years. The book was valued greatly by majority of the anti meta-physicists. Wittgenstein tried to present in this book his perception of what is logic, and that all problems arise due to the misunderstanding of logical language. He tried to tell the world that ‘it is what it is, and it will most probably not change’. He also added that his proposed ideas in Tractatus are ‘non-sensical’. By this he intends that philosophy deals with puzzling questions that are not even present their in the first place. Philosophical theories tend to solve problems which are not, in fact, problems. He further states that these questions and problems arise because philosophers fail to understand the logic of a language. The aim of Wittgenstein’s proposition was that the solution does not lie in solving the problem and gaining wisdom, but rather in eliminating the problem itself by thorough analysis. Wittgenstein’s lecture notes, saved in a blue book, were edited and published after his death under the name Philosophical Investigations. These notes contained his later thoughts on the importance of language, and are considered as a major turning-point in his initial philosophy. In these writings, he compels the people to consider language as a multi-level language-game, where parts of words develop and are exploited. He said that problems arise when philosophers refer to words individually, bereft of any background, usage and context. He further said that a philosopher should focus on the grammar of language, as this will help in clearing all misunderstandings. Through grammatical investigation and learning the rules of language, a philosopher will be able to decide what makes sense and is plausible in the long run. His last writing was on the topics of skepticism, certainty, knowledge and the doubt we assert on knowledge. These thoughts were in response to G.E. Moore’s debate on skepticism about a world external to our senses. 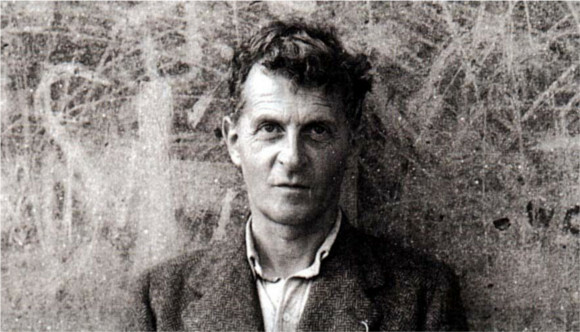 Wittgenstein didn’t outright reject doubts about the presence of an external world. Rather he showed that doubts do not fully perform the task they are assigned: there are certain logical facts which shape our language. When these logical propositions are doubted, our language and logic falls apart. Ludwig Wittgenstein’s thoughts and works have created an impact on almost all fields of social sciences, even though readers have interpreted his words differently. He felt that he was misunderstood by the people of his times, and that people of the future will perhaps understand his works in a better way. Indeed, he proved to be one of the most influential philosophers in the twentieth century, on par with thinker like Immanuel Kant.